Clonlara School’s vibrant K–12 campus in Ann Arbor nurtures a passion for learning that allows students to thrive as individuals. Our teachers work with their students and families to create a handcrafted education that is tailored to each student’s unique learning style, needs, and goals. Clonlara builds on young students’ curiosity for learning by emphasizing the importance of play in addition to core academics. Every day we bring enjoyment, wonder, and discovery into our spaces to help our students build a strong foundation for a lifelong love of learning. Our classroom climate fosters collaboration, and our multiage setting allows the younger students to learn from their older peers, taking on leadership roles when ready. The middle years are a time of great transition and increasing self-awareness for youth as they begin to see themselves in relation to their peers and the world around them. Through a combination of projects, play, and academic subjects, we help to foster students’ emerging self-confidence by encouraging them to bring their ideas into the building and letting their questions and interests guide their learning. 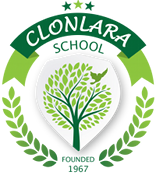 Clonlara’s Olders classroom is a social learning community in which students learn through group collaboration and individualized projects. Our goal is to empower our high school-age students to explore their interests and support them in making plans to put their ideas into action. In addition to the core subjects, our projects emphasize community service, public speaking, problem solving, critical thinking, self-advocacy, research, and the important life skills that prepare students to succeed in the college or career of their choice. Clonlara students actively participate in their own educational process, working closely with their parents and teachers to identify and pursue the projects and activities that fit their individual interests. In addition to the core subjects of language arts, math, science, and social studies, Clonlara students build problem-solving, self-regulation, and social skills through interactions with their peers and the world around them. At the start of each semester, they meet with their parents and teachers to set tangible measures for evaluating their work that replace traditional tests and report cards. Because we believe that learning begins with curiosity, every Clonlara student learns through an individualized, meaningful, and relevant process that we call Full Circle Learning. This research-supported model encourages students to formulate questions and discover answers about subjects that capture their attention, leading them to deeper understandings that they are able to share, challenge, and extend. Our campus students work at their own pace and are neither forced ahead nor held back by the group. The low student-to-teacher ratio in our classes allows for valuable individual instruction, and student learning is augmented by frequent field trips and engagement with community mentors. In addition, our multiage classrooms offer older students the opportunity to mentor younger students and take on a leadership role within their campus community. Clonlara’s teachers subscribe to the best progressive educational practices and are committed to teaching kids, not just subjects. They understand and put into practice recent findings on human brain development, enabling them to individualize a well-rounded academic program based on each student’s needs, interests, and abilities. This understanding is based on their shared belief that students who are not coerced into learning actually learn more, retain what they learn longer, and are better able to put their learning to practical use. Above all, Clonlara’s experienced teachers are dedicated to helping each individual student achieve self-actualization. They are committed lifelong learners who model self-directed inquiry by sharing their personal passions and projects with their students. When students arrive at Clonlara, many say that they feel like they have come home. Strong community is fostered through regular classroom and all-school meetings in which any student or staff member can raise an idea, concern, or question. In this supportive environment, students learn to take responsibility for their actions and even—through a shared process for conflict resolution—to make amends when necessary. Clonlara also views the wider community as extension of the classroom. The real-life experiences of toad hunting, maple sap gathering, ice sculpting, gardening, attending plays and concerts, and grocery shopping are all examples of our past outings. Field trips to local libraries, museums, parks, and other areas of interest are regularly integrated into our school week. Students are also strongly encouraged to reach out to the community-at-large through service projects and to contribute to the maintenance of the campus through chores. Clonlara’s sunny, airy building is located in the heart of Ann Arbor, which affords our students easy access to the many museums, parks, activities, and cultural events that our resource-rich community has to offer. In addition, the outside play area on our large wooded lot provides an extension of our classrooms where the skills of teamwork, problem solving, and independent play all occur naturally. In an age of screen time and virtual communication, outside play is not only encouraged at Clonlara—it is expected! Inside the building, Clonlara’s light-filled classrooms are furnished with comfortable furniture, computers, and worktables; and our spacious art studio is equipped with drafting tables, potter’s wheels, a kiln, and a dark room. Our multi-purpose room provides a space for gatherings, games, and presentations; while our school library offers a cozy place to curl up with a good book. Clonlara also has a well-equipped nutrition center where students can learn to prepare healthy meals and put on cooking demonstrations for their peers and families. In addition to our full-time Campus Program, Clonlara offers a range of enrollment options that can be tailored to a family’s unique needs and circumstances. Please contact us for more information or to enroll in these programs.